(1785-1872) In 1818, William Lewis published Stamma on the Game of Chess in London. In 1818, Johann Erdmann Hummel (1769-1852) painted, "Chess Players." The painting, oil on canvas, in the Romanticism style, is now located in the Neue Nationalgalerie in Berlin, Germany. The persons in the painting are: architect Hans Christian Genelli (with a pipe); archeologist Aloys Hirt (making a move on the chess board); Gustav Adolf von Ingenheim (son of King Friedrich Wilhelm II and countess Voss); painter Friedrich Bury (the other chess opponent); the artist himself (at the window), Count Friedrich Wilhelm von Brandenburg (son of King Friedrich Wilhelm II and countess Doenhoff). In 1818, William Kenny publishes Practical chess Exercises in London. 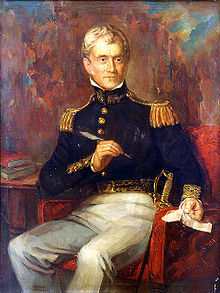 In 1818, Major Sylvanius Thayer (1785-1872), the "Father of West Point," prohibited chess at West Point Military Academy(founded in 1802). Thayer himself was a chess player, but was afraid that chess would steal away study time. In 1818, an Oxford graduate wrote Observations on the automaton chess player in London. On June 15, 1818, Napoleon Marache was born in France. In 1845, he published the first American chess periodical. 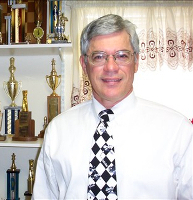 In 1857, he participated in the First American Chess Congress. He died in 1875, at the age of 59. On July 6, 1818, Karl Ernst Adolf Anderssen was born in Breslau (now Wroclaw, Poland), Germany. He was one of the strongest chess players in the world. He died in 1879, at the age of 60. In September 1818, the Turk was on exhibit in London. The operator was William Lewis, Champion of England. On October 17, 1818, Tassilo von Heydebrand und der Lasa was born in Berlin. He was one of the Berlin Pleiades and a strong amateur. He died in 1899, at the age of 80. On December 31, 1818, the automaton Turk (William Lewis) played Mr. Simons at Spring Gardens, England and won.